Vacations are fun for the whole family. The chance to get away from the hustle and bustle of everyday life is something everyone aspires to at least once a year. 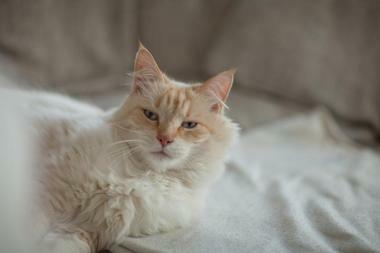 But for pet owners it can also be a time of distress, angst, and even regret. That’s because often a vacation away means that the four-legged members of the family have to stay behind. But it doesn’t have to be that way. These days, many accommodations not only accept, but welcome, furry family members with open arms. So cancel the pet-sitter and check out this unique list of pet-friendly rentals all across the United States. Travelers will find Mammoth Mountain Chalets located at the base of Mammoth Mountain Ski Resort, in Mammoth Lakes, California. The wonderfully rustic cabins are nestled amongst towering pines and just steps from Mammoth Mountain’s lifts, hiking and mountain biking trails, and Maine Lodge. Guests will be pleased to know that many of the cabins are pet-friendly, allowing them to include their furry friends in all of their outdoor adventures. The cabins are spacious, rustic in design, and provide log pole furnishings. They’re equipped with private decks offering marvelous views, and either wood burning stoves or fireplaces. 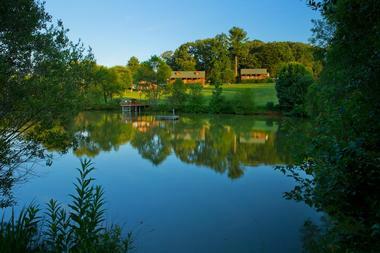 Cabin amenities include private bathrooms, TVs with cable channels, complimentary Wi-Fi, and complimentary toiletries. The Leavenworth Mountain Retreat is a 5000-square-foot lodge surrounded by towering pines within the Okanogan-Wenatchee National Forest located in Leavenworth, Washington. The lodge’s guests will have unrivaled access to outdoor activities that include hiking, mountain biking, horseback riding, climbing, downhill and cross-country skiing, and snowmobiling. Guests will also be conveniently situated near area attractions including the Leavenworth Reindeer Farm, Waterfront Park, and the Icicle Gorge. Pet-friendly rooms have knotty pine floors, feature rustic design elements, and provide log pole furniture. Lodge amenities include a swimming pool, hot tub, fireplace, and cable TV. This pet-friendly lodge sits on three beautifully wooded acres that are perfect for a little afternoon fetching session with canine companions. Newton Fork Ranch is a tranquil retreat nestled within the towering pines of the Black Hills National Forest, and located in Hill City, South Dakota. Guests will appreciate the Ranch’s close proximity to downtown Hill City’s wineries, art galleries, restaurants, and gift shops. The ranch also provides easy access to area attractions that include the Mount Rushmore National Memorial, the Crazy Horse Memorial, and Custer State Park. Guests that are traveling with horses will appreciate the Ranch’s two 12’ x 12’ heavy-duty paneled corrals they provide for a small fee. The cabins are spacious, offer rustic design, and provide log pole furnishings. 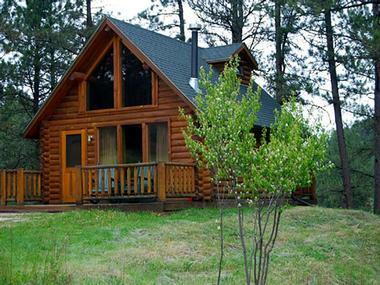 Cabin amenities include private bathrooms, full kitchens, gas BBQs, coffeemakers, and fireplaces. The 1903 Victorian is a charming two bedroom, one bathroom house situated just south of the winding Colorado River in Glenwood Springs, Colorado. The vacation rental offers its guests convenient access to cafés, shops, and restaurants located in downtown Glenwood Springs. There are several outdoor activities for visitors to enjoy that include hiking the Hanging Lake Trail, rafting tours down the Colorado River, and mountain biking the Glenwood Canyon Bike Trail. The accommodation features spacious rooms, an eclectic mix of antique and contemporary furnishings, and rustic design elements. Rental amenities include an outdoor grill, fully-equipped kitchen, fireplace, and community pool access. The house also provides a fenced in yard for those traveling with their four-legged companions. 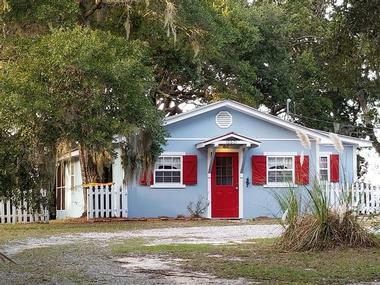 Arli Cottage is a lovely two bedroom, two bathroom cottage situated just a 10-minute walk from the dog-friendly East Beach on Saint Simons Island, Georgia. Guests staying here will enjoy a convenient 15-minute walk to the village’s restaurants, cafés, and shops. The cottage’s guests will also appreciate easy access to area attractions that include the Fort Frederica National Monument, St. Simons Lighthouse Museum, and the Fishing Pier. 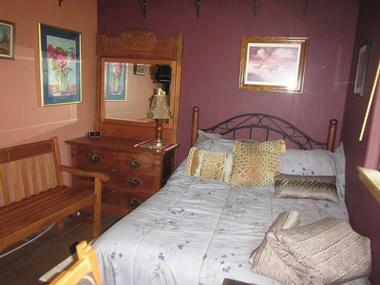 The rooms are spacious, tastefully decorated, and provide rustic furnishings. Cottage amenities include flat-screen TVs with cable channels, complimentary Wi-Fi, a fully-equipped kitchen, and a screened porch. 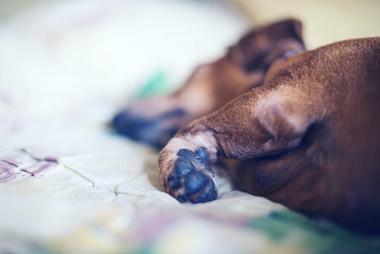 The cottage offers an enclosed backyard and washable dog bed for those traveling with a canine. Barkwells is a dog-centric, luxury vacation destination situated between the Nantahala National Forest and the winding French Broad River in Mills River, North Carolina. Travelers and their four-legged companions will appreciate the property’s many beautiful acres of fully enclosed meadows featuring a sparkling pond. Guests staying here will have easy access to outdoor activities including kayaking down French Broad River, hiking the Big Creek Trail, and horseback riding. The fully-equipped cottages and cabins are spacious, comfortably furnished, and feature rustic design elements that include knotty pine. Lodging amenities include complimentary Wi-Fi, TVs with satellite channels, fireplaces, hot tubs, central air, full kitchens, and doggy doors. Travelers will find the Bear Den cottages situated just minutes from the Pisgah National Forest in Spruce Pine, North Carolina. The cottages’ guests will appreciate convenient access to outdoor activities including hiking at Douglas Falls, whitewater rafting down French Broad River, and horseback riding through the Pisgah National Forest. Guests can enjoy scenic drives on Blue Ridge Parkway, rejuvenating massages at the Hot Springs Spa, and fun filled days at the Wolf Ridge Ski Resort. The cottage is spacious and bright, features two bedrooms, one full bathroom, a fully-equipped kitchen, hardwood floors, and contemporary furnishings. The cottage is pet-friendly and offers TV with satellite channels, complimentary Wi-Fi, a cozy fireplace, and a hot tub. The Carolina Beach Oceanfront Condo is situated along Carolina Beach Avenue South, just steps from the shimmering Atlantic Ocean in Carolina Beach, North Carolina. Guests staying here will appreciate being within walking distance of waterfront restaurants, cozy cafes, and charming boutiques. Guests and their furry friends can enjoy outdoor adventures at Freeman Park, Carolina Beach State Park, and Mike Chappell Park. After a fun filled day with the pup, visitors can enjoy a refreshing pint at Good Hops Brewing while the pooch chows down on a complimentary treat. The condo is bright and airy, offers beachy décor, and is comfortably furnished. Amenities include complimentary Wi-Fi, TV with cable channels, a fully-equipped kitchen, and private balcony with ocean views. 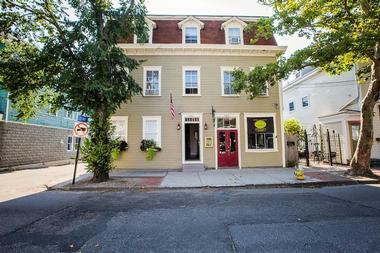 Travelers will find the Central Charming Victorian House located between Newport Harbor and Easton Bay in Newport, Rhode Island. Situated in the heart of downtown Newport, guests will be within walking distance of waterfront restaurants, chic art galleries, and stylish boutiques. Guests will appreciate the rental’s close proximity to area attractions that include the National Museum of American Illustration, The Breakers, The Elms, and the Marble House. The apartment is bright and airy, features three comfortable bedrooms, one full and one half bathroom, modern design, and contemporary furnishings. The rental is pet-friendly and offers complimentary Wi-Fi, flat-screen TVs with cable channels, a fully-equipped kitchen, and central air. 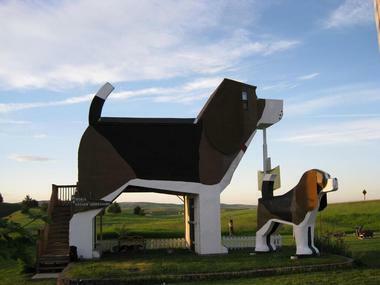 The Dog Bark Park Inn B&B is a hotel charmingly shaped like a beagle and situated along U.S. Route 95 in Cottonwood, Idaho. The hotel’s guests will appreciate its nearness to area attractions that include the Lewis & Clark Trail, the Monastery of St. Gertrude, and Winchester Lake State Park. They’ll also have easy access to fun activities that include whitewater rafting on the Salmon River, Hells Canyon Jet Boat Tours, and beer sampling at Wolftrack Brewing and Tasting Den. 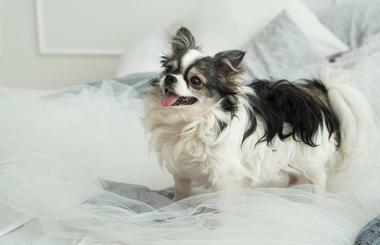 The rooms are cozy, feature canine inspired décor, and provide comfortable furnishings. 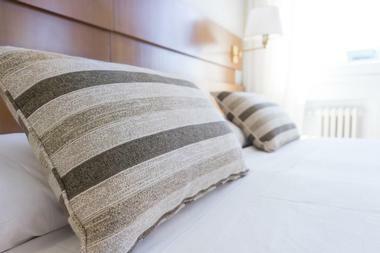 Room amenities include a private bathroom, coffeemaker, air conditioning, and complimentary Wi-Fi. 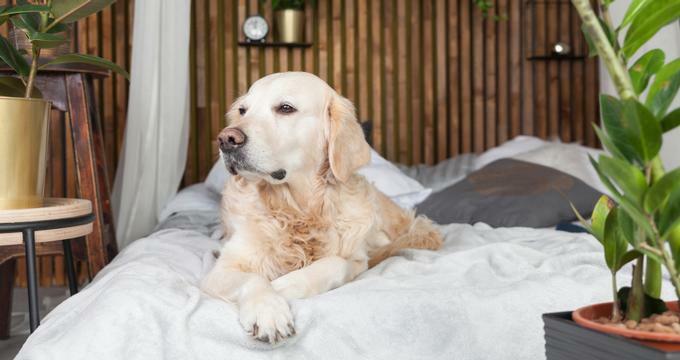 This pet-friendly hotel offers its guests a daily complimentary continental breakfast. Travelers will find the Dog-Friendly Treehouse in Carmel situated on a quiet residential neighborhood street in Carmel, California. Guests staying here will appreciate how the close the rental is to popular attractions including Point Lobos, Carmel River State Beach, Garrapata State Park, and the Seventeen Mile Drive. Guests will also be just minutes from downtown Carmel’s cozy cafes, sensational restaurants, and stylish boutiques. The studio has dark hardwood floors, white walls with colorful hanging art, and eclectic furniture. Rental amenities include a private bathroom, TV with cable channels, complimentary Wi-Fi, and a kitchenette. 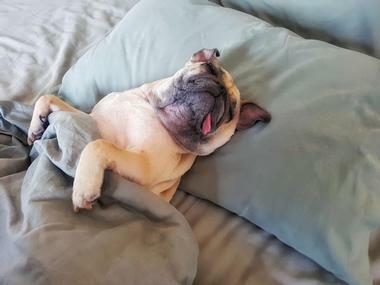 It’s suggested that travelers bring bedding, food, and water dishes for their animals to this pet-friendly accommodation. The pet-freindly Hampton Beach NH Cottage is situated along Ashworth Avenue, just steps from the Atlantic Ocean in Hampton, New Hampshire. The cottage’s guests will be within minutes of Hampton’s cafés, restaurants, and shops. They’ll also have easy access to popular area attractions including Hampton Beach State Park, the Blue Ocean Discovery Center, the Tuck Museum, and North Beach. The patio area has a couple of outdoor grills, tables with umbrellas, and a grassy area for the pups to enjoy. The cottage is bright and airy, has a beachy feel, and provides eclectic furnishings. Amenities include complimentary Wi-Fi, TV with cable channels, a full private bathroom, and kitchenette. The Luv Surf Bayside Home with Rooftop Deck is situated on a strand of land between Sail Bay and the shimmering Pacific Ocean in sunny San Diego. San Diego is a dog lover’s city offering cool places from the Fiesta Island Dog Park to the original Dog Beach in Ocean Beach to Kate Sessions Park. People visiting San Diego with their canine companions will have a plethora of outdoor activities to choose from that include hiking Iron Mountain, surfing in Mission Beach, and stand-up paddle boarding in Mission Bay. The home is spacious, tastefully decorated, and provides contemporary furnishings. 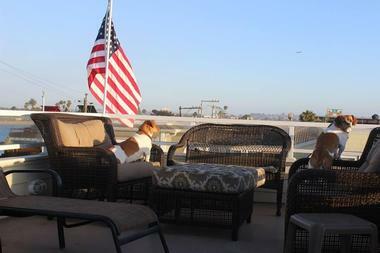 Rental amenities include an outdoor gas BBQ and a furnished rooftop deck with stunning panoramic views. 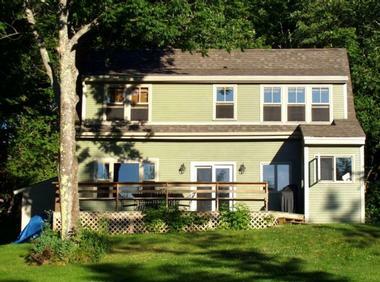 The Maine Summer Dog is a pet-friendly accommodation situated along Payson Road near Alford Lake in Union, Maine. Guests staying here will have convenient access to area attractions that include the Coastal Maine Botanical Gardens, Pemaquid Point Lighthouse, and the Maine Lighthouse Museum. They’ll also stay busy with outdoor activities including sailing and boating on nearby lakes, hiking, fishing, and horseback riding. The farmhouse apartment is spacious, rustic in design, and comfortably furnished. The rental is equipped with a full kitchen, one and a half bathrooms, a washer and dryer, complimentary Wi-Fi, and TVs with access to Netflix and Hulu. The property provides three beautiful fenced-in acres for pups to freely and safely explore. 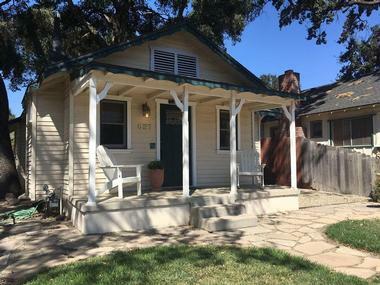 The Oceano Beach Cottage is a charming three bedroom, two full-bathroom home situated along Oceano Beach in Oceano, California. Guests will appreciate that they can walk out of the cottage’s sliding glass doors and onto the sandy beach where they can enjoy sunset walks, fetch with their canine companions, and bonfires under the twinkling stars. They’ll also enjoy easy access to fun outdoor activities that include ocean kayaking, windsurfing, and riding ATVs around the sand dunes. The cottage is bright and airy, provides large picture windows that face the Pacific Ocean, offers beachy décor, and is comfortably furnished. 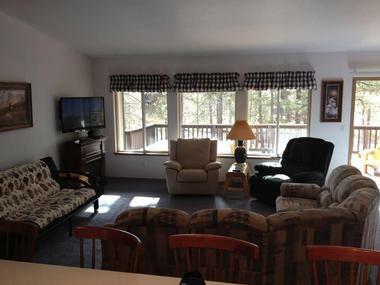 Rental amenities include complimentary Wi-Fi, flat-screen TVs with cable, a rejuvenating hot tub, and a cozy fireplace. 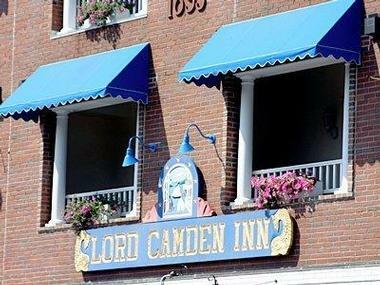 Lord Camden Inn is a luxury boutique hotel offering unsurpassed comfort, service, and elegance in the heart of downtown Camden, Delaware. The hotel has proudly been rated with the prestigious Three Diamond Award, ensuring visitors receive warm hospitality and personalized service in an opulent environment. Guests will appreciate being just steps from Camden’s waterfront boardwalk, fine shops, and sensational restaurants. This coastal town offers a variety of activities that range from exploring Camden Hills State Park to taking in marvelous panoramic views atop Mount Battie to enjoying sailing tours around Penobscot Bay. The rooms are bright and airy, luxuriously decorated, and furnished tastefully. Room amenities include private bathrooms with granite countertops, flat-screen TVs, and complimentary Wi-Fi. Peach Tree Retreat is a charming two-bedroom, one bathroom cottage situated on a quiet, dead-end, neighborhood street in Sedona, Arizona. Guests staying here will be just a few minutes’ drive from downtown Sedona’s sensational restaurants, charming gift shops, quiet cafés, and stylish boutiques. This pet-friendly rental offers people traveling with their furry friends the opportunity to explore incredible Sedona hiking trails with them including the Doe Mountain Trail, Broken Arrow Trail, and Bear Mountain Trail. A lush, vibrant garden surrounds the desert property, creating a tranquil place for relaxation. The cottage is cozy and rustic with eclectic wood furnishings. Rental amenities include a TV, private bathroom, complimentary Wi-Fi, and daily complimentary breakfast. The Pink House Beach Frontal Rental is located on Estero Island, between the Matanzas Pass and the Gulf of Mexico, in Fort Myers Beach, Florida. The rental’s guests will have convenient access to Estero Island’s charming cafés, factory outlets, shopping malls, and waterfront gastronomy. 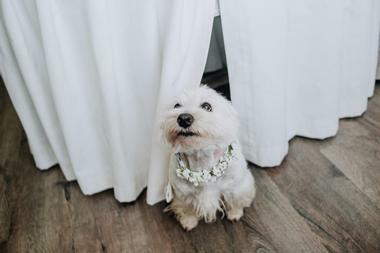 They’ll also be able to enjoy nearby attractions that include Lovers Key State Park, Koreshan State Park, and for guests traveling with their canine companions, Bonita Springs Dog Park. 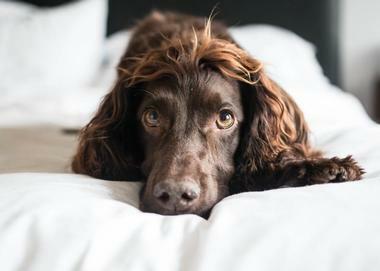 This pet-friendly accommodation is spacious, offers beachy décor, and is comfortably furnished. Rental amenities include a fireplace, a furnished deck and patio, complimentary internet, cable TV, a washer and dryer, and marvelous ocean views. Travelers will find the Private Stone Quarry House located a couple of miles east of downtown Ithaca, New York. The rental’s location offers its guests convenient access to Ithaca’s cozy cafés, appetizing restaurants, craft breweries, and retail shops. Guests can easily explore a variety of area attractions that include the Robert Treman State Park, Ithaca waterfalls, Cayuga Lake, and the Johnson Museum of Art. The property boasts four unique cottages that are pet-friendly, rustic in design, and comfortably furnished. Rental amenities include private bathrooms, air conditioning, cable TV, and complimentary Wi-Fi. Some of the cottages feature opulent additions including fireplaces, hot tubs, and Tempurpedic mattresses. The Stowe VT Cottage is a charming three-bedroom, three bathroom cottage located in the mountain town of Stowe, Vermont. The rental’s guests will have easy access to local attractions that include Smugglers Notch State Park, Sterling Falls Gorge, Mount Mansfield, and the Gold Brook Covered Bridge. It’s also a short drive to downtown Stowe where guests can explore the town’s restaurants, retail shops, and cafes. 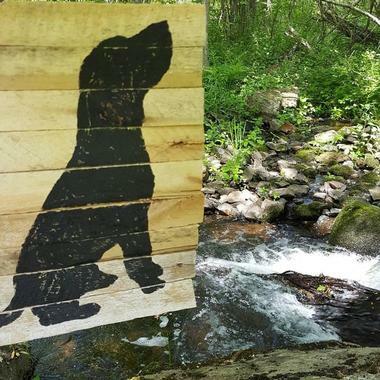 People traveling with their furry companions can enjoy hiking picturesque trails with them at CC Putnam State Forest, Mount Mansfield State Forest, and Camel’s Hump State Park. The home features knotty pine wood floors, rustic design elements, and contemporary furnishings. Amenities include a fireplace, cable TV, washer and dryer, and complimentary Wi-Fi. The Big Red House is situated just off of the scenic California State Route 1 in the seaside community of Cambria, California. Guests will be just steps from the sparkling Pacific Ocean where they can enjoy surfing, sunbathing, and playing fetch with their pups on the beach. They’ll also be within walking distance of Cambria’s waterfront restaurants, cozy cafes, charming boutiques, and gift shops. The rental provides the ideal location for exploring area attractions that include Moonstone Beach, Piedras Blancas Light Station, and the Fiscalini Ranch Preserve. 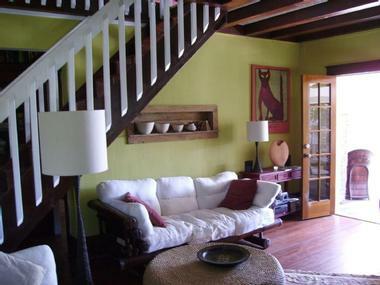 The house is spacious and bright, tastefully decorated, and provides contemporary furnishings. This pet-friendly rental is equipped with complimentary Wi-Fi, flat-screen TVs with cable, a fireplace, and a hot tub. The Shady Shack is a cozy nautical cottage situated on Fort Morgan Peninsula between the Bon Secour Bay and the Gulf of Mexico in Gulf Shores, Alabama. Guests will appreciate convenient access to waterfront restaurants, retail shops, art galleries, and charming cafes. 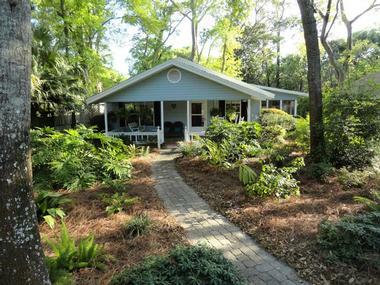 They’ll also appreciate the cottage’s close proximity to area attractions including the Bon Secour National Wildlife Refuge, Alabama Gulf Coast Zoo, and Gulf State Park. Guests will be just steps from Fort Morgan Beach where they can tire out their four-legged friends with a little fetch. 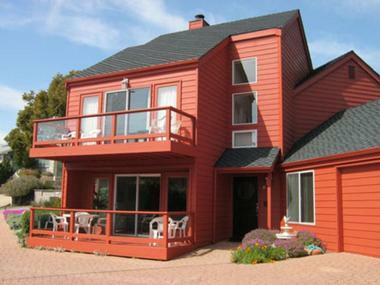 The cottage is bright and inviting, features beachy décor, and is comfortably furnished. The rental is equipped with cable TV, a washer and dryer, complimentary Wi-Fi, and air conditioning. Travelers will find the Three Rivers Retreat nestled in the Deschutes National Forest about 20 miles south of Bend in Three Rivers, Oregon. This is the perfect accommodation for outdoor enthusiasts traveling with their canines. They can explore nearby attractions that include the Sequoia and Kings Canyon National Parks, Tokopah Falls, and Tumalo Falls. Guests can also enjoy a few adventures without the pup including whitewater rafting down the Deschutes River, jet boat tours, and mountain climbing. Surrounded by towering pines, the rental is spacious, offers rustic design elements, and features a few pieces of lodgepole furniture. Rental amenities include complimentary Wi-Fi, cable TV, a washer and dryer, fully-equipped kitchen, and seven-person hot tub. This 1918, canary-yellow, Craftsman house is nestled beneath towering and majestic oak trees in Paso Robles, California. Guests staying here will enjoy convenient access to Paso Robles’ impressive wineries, sensational restaurants, chic art galleries, and cozy cafes. They’ll also appreciate the rental’s close proximity to local attractions including the Paso Robles Pioneer Museum, Estrella Warbird Air Museum, and River Oaks Hot Springs. Guests traveling with their furry friends can take their pups to Sherwood Dog Park, Vineyard Dog Park, or Toro Creek Dog Beach along California State Route 1. The floors of the rental are a combination of hardwood and tile, the interior design features rustic elements, and the space is comfortably furnished. 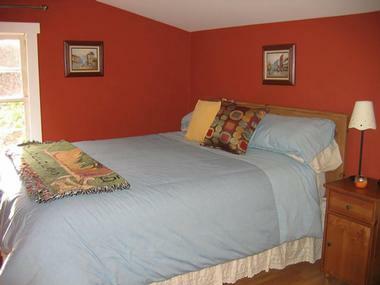 Wee Cottage by the Sea is a charming, pet-friendly accommodation situated just steps from Loblolly Cove in Rockport, Massachusetts. Guests will appreciate the cottage’s close proximity to Rockport’s waterfront restaurants, charming cafés, and stylish boutiques. They’ll also enjoy easy access to local attractions that include the Shalin Liu Performance Center, Halibut Point State Park, and Front Beach. There’s no shortage of awesome water activities around Rockport. Guests could go for a sailing tour, kayak around the cove, or take a deep-sea fishing excursion. The cottage is cozy, offers rustic design elements including knotty pine, and provides lodge-style furnishings. Cottage amenities include a private bathroom, cable TV, complimentary Wi-Fi, and a fully-equipped kitchen.